1. Roughly chop the mango flesh into 1 cm square cubes, place in a shallow container, cover and freeze for 3 hours, or until solid. Alternatively, use 3 – 4 roughly chopped frozen mango cheeks. 2. 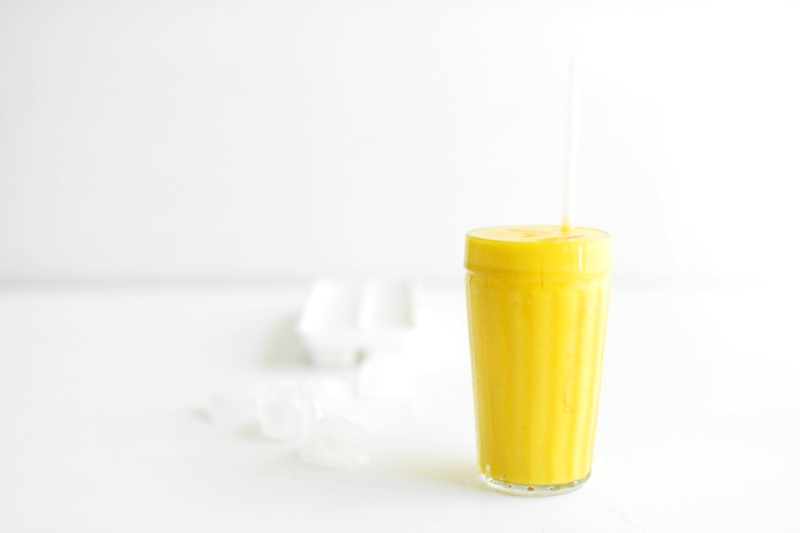 Combine mango and coconut water in a blender or food processor and blend on high speed for 1 to 2 minutes, until smooth, scraping down midway. 3. Serve in a tall glass over ice.